Speed up your hair growth. 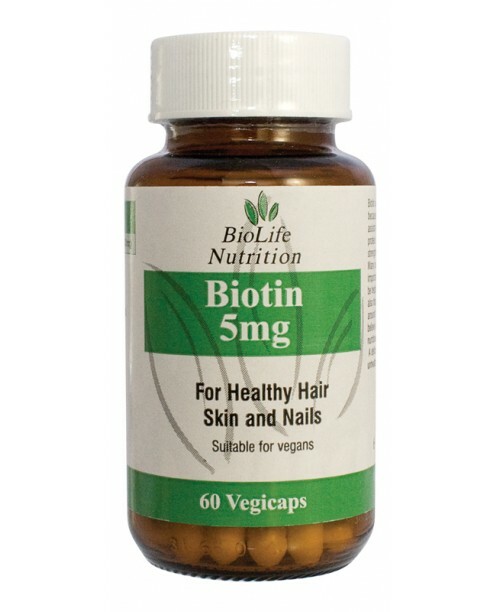 Get longer, stronger healthy hair and nails by taking 1 biotin vegi capsule daily. Whether you are transitioning or following a regimen to achieve hair growth or just maintaining healthy hair, incorporate biotin in your regimen. Biotin is a B group vitamin, often called Vitamin H. A deficiency in Biotin will cause hair to become weak, unhealthy and lead to breakage. Made from natural ingredients possible, Gluten free, Preservative free, Bovin, glucose and lactose free, and vegan. Hair: Promotes hair growth, keeps hair strong & healthy, and prevents breakage. Start your hair growth boot camp and incorporate biotin in your regimen, together with hair vitality vegicaps and MSM. Pregnant or breastfeeding moms should consult your doctor before taking any supplement.